"I feel like pleading with my brethren and sisters to set their faces firmly to the front and decide to enjoy the blessings with which our Father has blessed us. 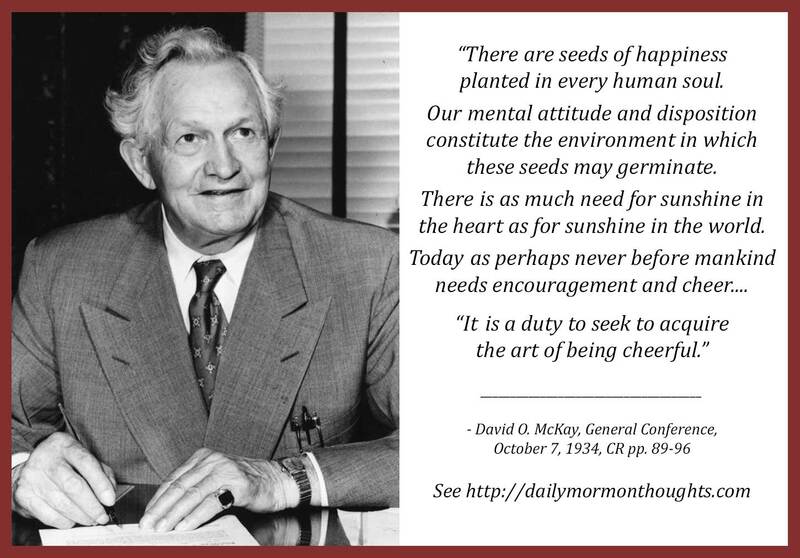 This is great counsel from then a young Elder McKay: we can choose to be happy. 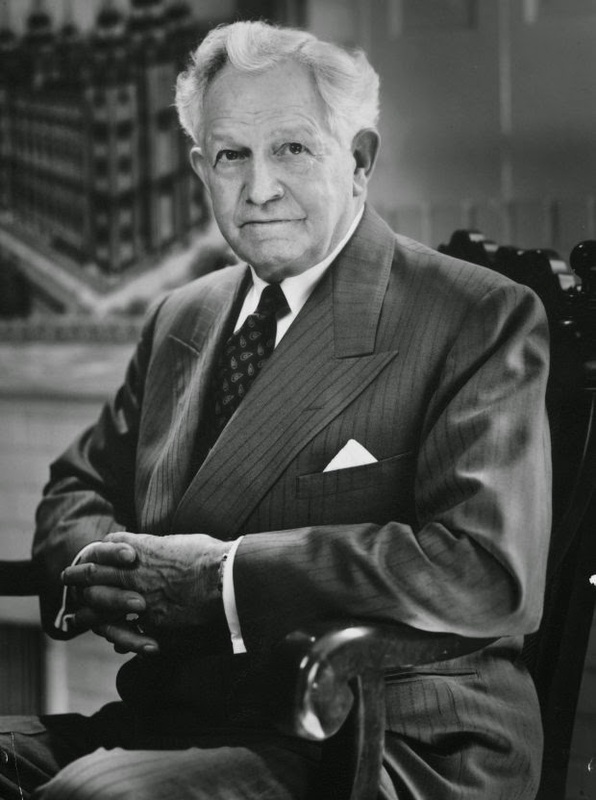 We can "decide to enjoy the blessings with which our Father has blessed us." The careful and conscious recognition of God's hand in our lives is one of the great keys to happiness and peace. Elder McKay shared these thoughts in 1934, when the US and much of the world was in the midst of the Great Depression. He mentions the almost universal "economic distress" faced by so many. But he clarifies that true joy comes as we adhere to the principles of the gospel, faithfully fulfill our duties, and keep "unfaltering trust" in God. Labels: cheerfulness, happiness, McKay David O.